Limited time? Special needs? 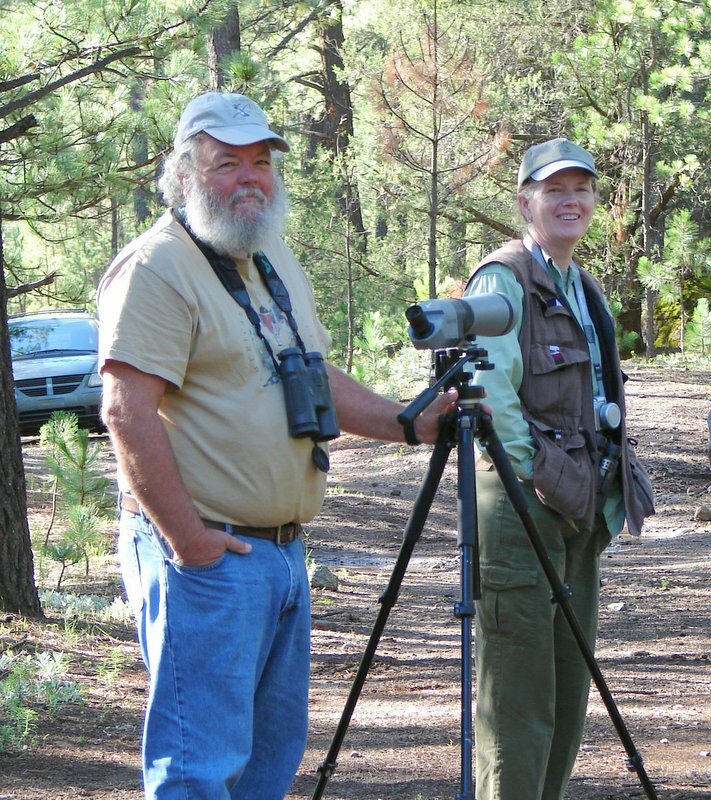 Let a naturalist from the Southeastern Arizona Bird Observatory be your personal birding guide! We can introduce you to the birds, butterflies, other wildlife, flora, geology and history of this fascinating region in formats ranging from a half-day bird walk to a multi-day custom tour. 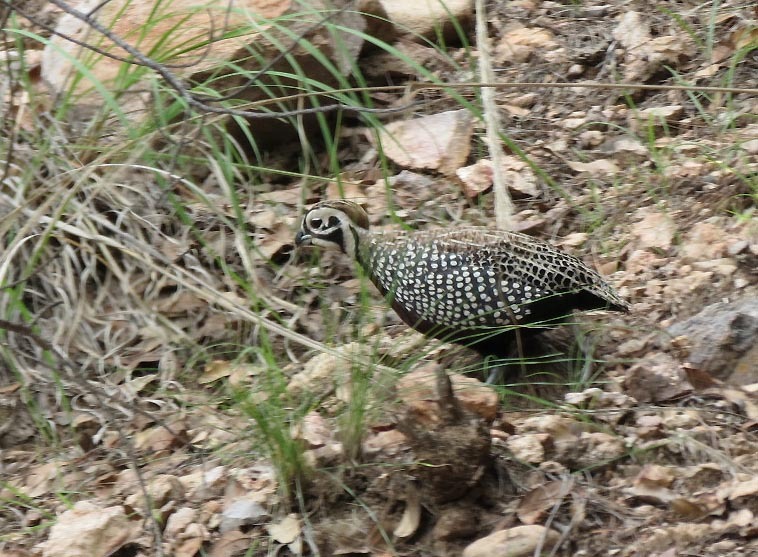 Basic rates for personalized guiding apply to locations or starting points within 30 miles of Bisbee, including the southern Sulphur Springs Valley, southern San Pedro Valley, and Huachuca Mountains. Day tours that begin at more distant locations and/or cross the border into northern Sonora may be arranged for a slightly higher fee. For some of our favorite field trip and tour formats, please visit the Custom Group Trips page. 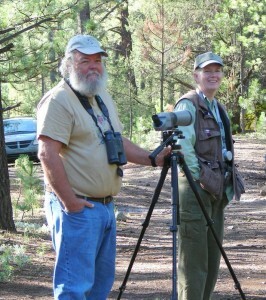 Naturalists and SABO founders Tom Wood and Sheri Williamson can be your personal birding guides. All personalized guide services are subject to availability; we recommend making reservations at least one month in advance. For reservations or more information, contact SABO. Guide services for larger groups, including non-profit organizations and school classes, are also available. For more information, see the Custom Group Trips page.